Opening Friday, August 4 at Invisible Exports, 6 pm to 10 pm. On view through August 26. 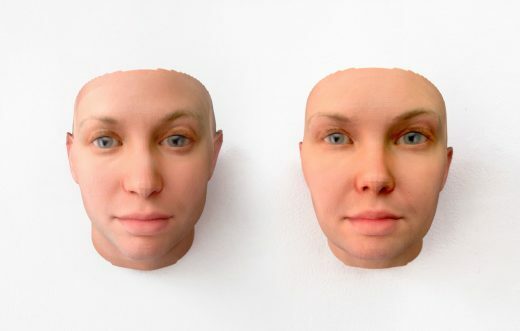 Though they’ve been hard at work curating the Re: Art Show, which manifests in a different part of the vast and strange Pfizer Building in Bed-Stuy every month, Erin Davis and Max C Lee are still finding time to make work of their own. 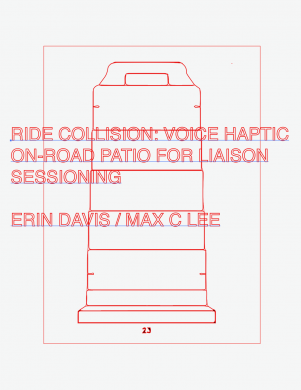 Aside from being quite a mouthful of a title, Ride Collision: Voice-Haptic On-Road Patio For Liaison Sessioning is the duo’s first solo show in New York. The show is part of a larger series entitled Ride Collision, exploring the ways one can construct environments using discarded or repurposed found materials. These sculptural creations relate to cars and transportation and the culture and norms surrounding them. The show is also described as delving into how car crashes and other hazards can throw into turmoil the very rules and norms put in place to prevent them. Rocks made from painted styrofoam resemble asphalt, pieces of drywall are modified to resemble road barriers that brace for impact, and caution tape abounds. Opening Friday, August 4 at Tiger Strikes Asteroid New York, 6 pm to 9 pm. On view through September 10. This week appears to be a week of long and/or sort of convoluted exhibition titles. For example, try saying this one five times fast. If you’re in need of a nice vocal warm-up, it could be a useful one to tuck in your back pocket. If you’re not interested in such folly, know that Revealing Reflected Refractions is also a group art exhibition. The exhibition showcases four artists of differing backgrounds and practices. 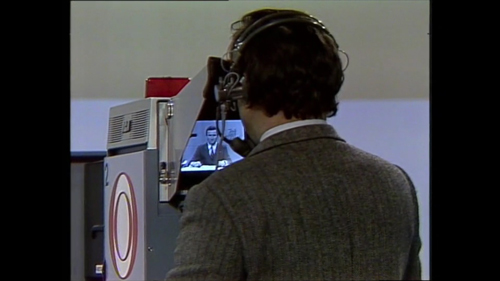 Video by Karin Ferrari combines the Austrian national news and the Illuminati, drawings from Hai-Hsin Huang depict a multicultural humanity, light sculptures by Alison Kudlow are both tangible and intangible, and site-specific by Nooshin Rostami makes the formality of a gallery space a little more uncertain. At Friday’s opening reception, Rostami will also be performing. Opening Sunday, August 6 at Knockdown Center, 5 pm to 7 pm. On view through November 5. Using a color palette reminiscent of scoops of sherbet and making shapes that recall fruit, body parts, rainbows, and more, Amie Cunat’s mural for Knockdown Center breathes new life into New York City architecture. 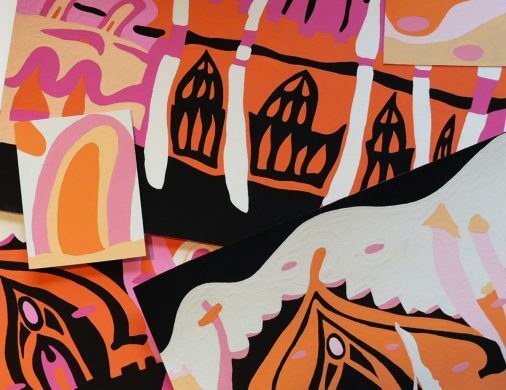 The mural takes inspiration from drawings of notable buildings like churches, layering each structure on so it recalls the squished reality of real estate in the city, but with an added dose of sugary surrealism. Every day the cityscape changes a little more, for better or for worse, and here you can see it from yet another perspective.